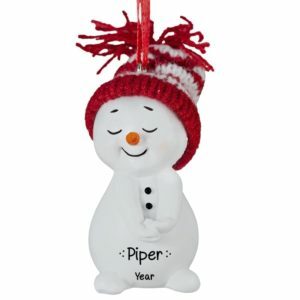 Our Snowmen ornaments are the perfect gift for everyone on your Christmas list this year! Whether you choose to decorate your whole house with snowmen or feature just a few keepsakes, personalized snowmen Christmas ornaments are an affordable way to add a little whimsy to your Christmas tree. 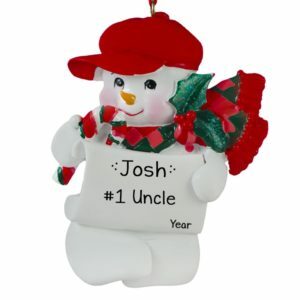 Snowmen also make great gift ideas since they are considered more of a winter theme. 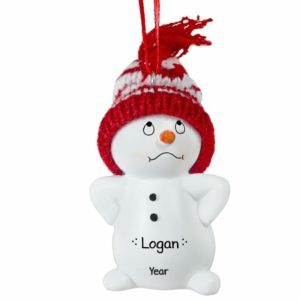 If you need to purchase a gift for someone of a different faith, snowmen are the perfect way to share the winter celebration. Our customized snowmen Christmas decorations are an easy way to thank a volunteer for their service, bring holiday cheer to a grandparent in a nursing home or thank a teacher for their service. 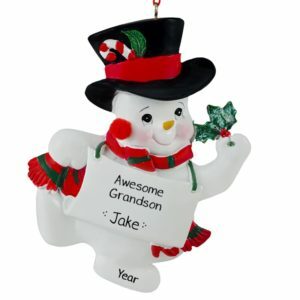 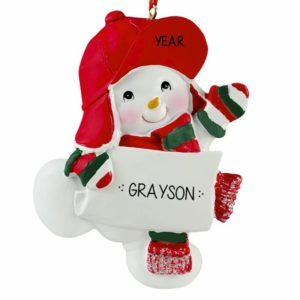 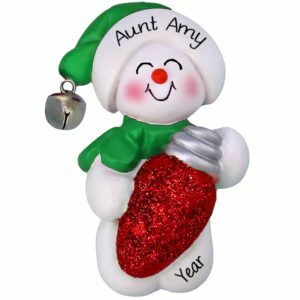 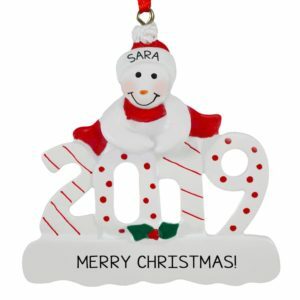 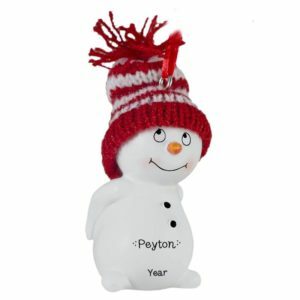 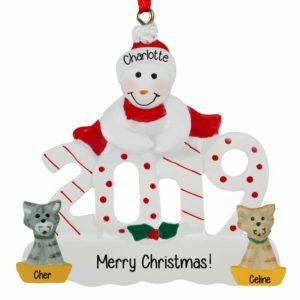 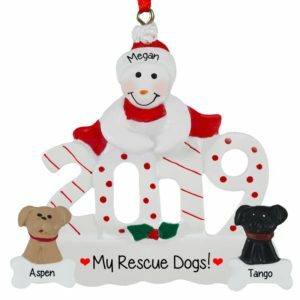 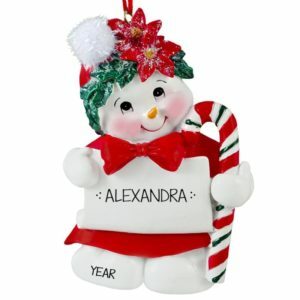 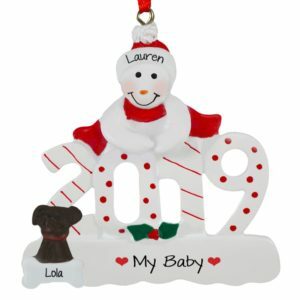 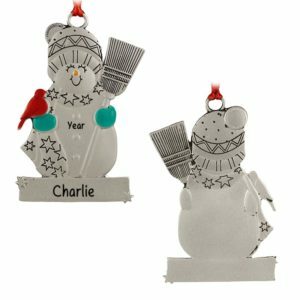 Our snowman personalized ornaments are very popular as they can easily be used as a gift tag for a present, decorate the dinner table using them as place cards or just hang in a cubicle to ring in the holiday spirit. 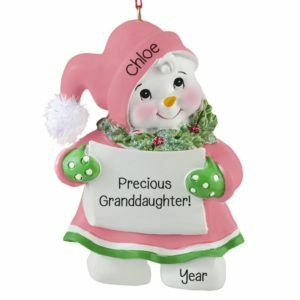 Browse our adorable selection now!